Over half of all elder home staff members admit to abusing a resident at least once within the prior year. In one survey, 17 percent of certified nursing assistants (CNAs) working in nursing homes admitted to pushing, shoving, or grabbing a resident. If you believe that your elder loved one has been physically abused in his or her nursing home, don’t continue to ignore the matter. The abuse needs to stop, your loved one needs justice, and the abusers need to take responsibility for their actions. To learn more about your potential abuse claim, take action by calling Louisville nursing home abuse attorney Seth Gladstein today. Both Kentucky and federal law requires nursing homes and assisted living facilities to provide a safe place for residents. Unfortunately, all too often these facilities simply fail to provide that environment. Instead of living in comfort and health, residents live in fear of those who care for them – while being physically abused and psychologically terrorized. How and why does physical abuse happen in nursing homes? Nursing homes conduct inadequate background checks on staff. They retain employees with a history of abusive behavior. Nursing facilities fail to properly train and supervise their staff members. Nursing homes fail to hire enough staff to properly care for residents. Elder homes ignore the red flags of physical abuse. Poor nursing home working conditions (low wages, long hours, stressful workloads) lead to overwhelmed and underskilled workers. It is important to understand that, although a staff member may be directly responsible for his or her actions of abuse, the nursing home itself is likely to share fault. This is because the nursing home is largely responsible for the actions of its employees, and ultimately responsible for the health and safety of their residents. Senior citizens often suffer from medical issues that can cause abuse to be even more damaging than usual. Unique problems of the aged, such as osteoporosis, can make them especially vulnerable to fractures. With decreased skin elasticity, the elderly are much more likely to have their skin bruised, cut, or torn. Finally, the weakened immune systems of seniors means that recovering from abuse can be a long and difficult process. Being punched, beaten, slapped, pushed, or shoved by staff members. Being shaken, kicked, dropped, or slapped by staff members. Being restrained physically or chemically without doctor’s orders. Being cut by staff members. Being starved or fed against their will. Any bruising, cuts, or burns on the body. “Wrap around” bruising that could be the result of hands, ropes, or other restraints. Unexplained or poorly explained broken bones, sprains, or other injuries. Injuries that appear to have been treated unprofessionally. A change in behavior in your loved one. Your loved one suddenly becomes depressed, withdrawn, or anxious. Your loved one is dressed to cover bruising and injuries, even in warm weather. A staff member does not leave the room during your visits. Your elder loved one is often not available for visits when you arrive. Your loved one is often taken to different doctors or hospitals for injury treatment. Stop Kentucky Nursing Home Physical Abuse. 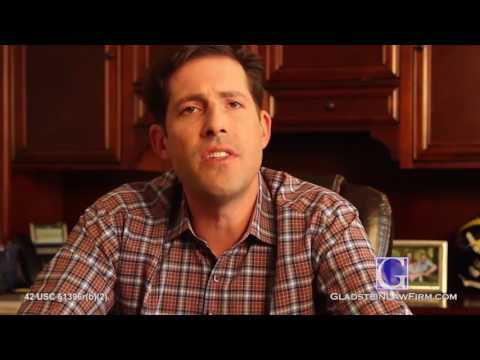 Call Attorney Seth Gladstein Today. If you or a loved one has been an abuse victim, call Gladstein Law Firm, PLLC, today. Seth Gladstein, a Kentucky nursing home abuse lawyer, has extensive experience with nursing home malpractice cases and stands ready to discuss your claims and answer your questions. Your consultation is completely free and private. Call 502-855-4177 to schedule your appointment or fill out our quick contact form.